Would you like to relate better to your Chinese clients, students or friends? Learn some essential aspects of Chinese culture (including business culture), customs and language. Travelling to China or a Chinese-speaking country, teaching Chinese students or involved with Chinese clients in business or tourism? 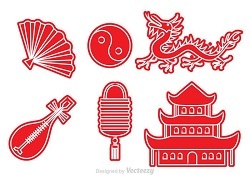 Join Mei-Fen in this half-day workshop to increase your essential knowledge of Chinese culture, customs and language that will help you to understand and interact better with the Chinese people you deal with. Bring a pen and and food to share at morning tea.